What types of cosmetic dentistry are there, who is legally allowed to carry them out and how can poor work result in a dental negligence claim? In our modern society the focus on body image and physical perfection is at an all-time high, so it is no wonder that there has been a rise in cosmetic dentistry. However, as the general public embarks on a quest for the perfect smile, in reality what damage may we be doing to our mouth? Statistics show that the demand for cosmetic dental treatment has almost doubled in just a few short years, however, with the rise in this kind of dentistry comes the rise in issues. Many providers will see this rapid expansion as an opportunity to cash in and will cut corners to make a ‘quick buck’. In the UK both statutory  and case law  states that all dentistry must be carried out by individuals regulated by the General Dental Council, these individuals are dentists, dental hygienists, dental therapists and dental nurses. 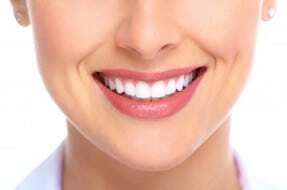 Cosmetic dentistry includes but is not limited to teeth whitening, veneers, teeth straightening and dental implants. How many people do we all know who have had their teeth whitened by someone other than a dentist, but did you know that this is actually illegal? A recent campaign by Groupon and The General Dental Council targeted the promotion of illegal tooth whitening via ‘Daily deal’ websites. Advocates of the provision of teeth whitening by non regulated individuals will argue that teeth whitening is cosmetic  and so does not need to be carried out by a dentist, this is incorrect. The first round of teeth whitening must always be carried out under prescription of a dentist. Teeth whitening carried out incorrectly can lead to excessive sensitivity to both the teeth and gums, burnt or receding gums and even damaged tooth enamel. Patients are settling for less than acceptable standards of treatment in order to save money, treatments that are cheap seem the perfect fix but the health and appearance of your mouth should take priority over saving money or time. When choosing a cosmetic dentist check that they are regulated by the General Dental Council and ensure that they discuss with you the cosmetic treatment they would like to provide, how they will do it and why and what potential risks are involved. All cosmetic work that is carried out must be sufficiently prepared for and planned, appropriate clinical examinations must be carried out. The type of cosmetic dentistry being carried out will determine the examinations that are required. Examples of clinical examinations are radiographs, models and in planning dental implants a bite analysis is essential. Cosmetic dentistry is not just making you pretty; veneers and crowns have to fit properly to your bite, your gums and the bone that supports your teeth, they also have to be correctly proportioned to your face. We have acted for clients where poor fitting dental work has lead to difficulty in chewing and keeping teeth clean, resulting in infection. Even speech can be affected, which was a reality for a recent client of mine whose whole career, as a multilingual translator, was affected by the substandard cosmetic dental treatment he had received. Replacing substandard cosmetic dental work can be extremely expensive and cause damage not only to your confidence and your appearance but to the long-term health of your teeth and therefore it is vital that this work is carried out by suitably qualified practitioners. If you are concerned that you may have received negligent cosmetic dental treatment, in connection with any of the treatments mentioned or in some other way, please contact a member of the Dental Negligence Team, who will be happy to advise you on your particular circumstances. Sections 37 and 38 of the Dentists Act 1984 state that dentistry can only legally be undertaken by individuals who are regulated by the GDC; specifically dentists, or hygienists or therapists working to a dentist’s prescription.